When it comes to getting ready for your first auction day as a property manager for a storage company, you’ll likely experience brief moments of panic, during which you become certain that you are forgetting something crucial. “Here come the lawsuits” you begin to think, as you envision the legally required steps you’ve neglected to take and wonder how long you’ll keep your job after the last auction hunter drives away. Although auction day doesn’t have to be scary and it gets much easier even the second time you run one, the last thing you need to worry about is advertising your sale through the proper channels in order to drum up a decent turn-out of buyers. Let’s face it: without auction buyers you’ve got no revenue and no chance of clearing out the problematic accounts that have jammed up your space, occupied your time and drained your patience for several consecutive months. For these reasons, ensuring a good turn out of motivated buyers with cash-on-hand is much more important than most new storage managers realize. In fact, many newbie managers seem to think that droves of auction hunters are just going to magically appear come auction time – and that they’re all going to know the drill. You can’t control who shows up at your storage sales – but you can make a big difference in how many interested buyers know exactly when and where your next auction is being held. 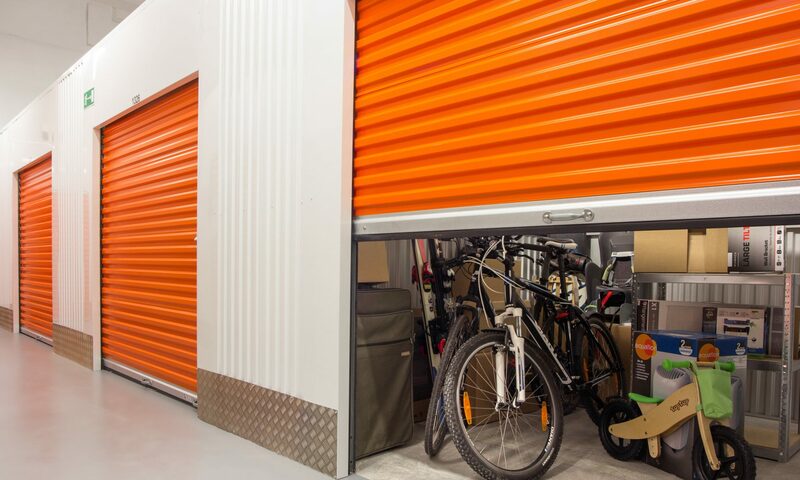 StorageTreasures.com is a new site that provides a necessary service for storage facility managers that handle their own auctions of delinquent lockers. What Does Storage Treasures Do For Managers? What StorageTreasures.com does is take the hassle out of posting and maintaining your auction day listings. You can cross one thing off your busy pre-auction to do list by handing over the process to the folks at StorageTreasures, who will streamline posting, advertising and maintaining your listings. Best of all, you can choose between a free account, or two different paid accounts, all of which provide different capabilities and advantages. Even if you or your company isn’t ready to take the plunge and use one of the paid account options yet, you can still get a lot of use out of the free storage treasures accounts. I recently signed up to give the system a test run and found it intuitive and pretty quick to get going. When you first land on the homepage you just click register and the system will guide you through the process step-by-step. The most important thing to do is to specify whether you are an auction hunter or a storage facility – choosing either of these options will lead you to very different outcomes! Signing up as a facility gives you the option to specify whether you are an owner or manager and then brings you to your profile page where you can upload a photo and fill-in some basic information about your company like its name, address and the like. Once you’re up and running, you’ll notice the option on the left sidebar to add facilities under the “My Facilities” tab. Clicking add facility will bring you to the “Account Types” page, where you can opt into either a free community account, a month by month paid corporate account, and a year to year corporate account. Note that both types of paid accounts will cost you on a per-facility basis. If you want to stick with the free account, you’ll have access to the basic functions of the site, such as making your profile, submitting auction sales to the database and e-mail based tech support. Opting into either of the paid accounts gives you a great deal of advanced features like the ability to attach coupons to your listing, as well as a link back to your website and information on your gate hours.You can even add general descriptions of the goods being sold to increase the likelihood of a motivated turn-out of auction buyers. Paid accounts can also upload photos and videos of their facilities and units, increasing your brand awareness, generating pre-sale buzz over your goods, ensuring people will be able to recognize your site come auction day, and generally drumming up more excitement and therefore more buyers. All of these premium features make for an excellent pre-auction tool box that managers can use to streamline their auction preparations and increase revenue, especially when corporate is willing to foot the bill for the account upgrade! All of these sale-day features are nice, but the real allure of the premium storage treasures account is the somewhat unbelievable level of support you’ll receive from storage auction experts and lawyers specializing in self storage cases. Everything from legally verified lien documents (tailored to your state) to special help forums and the ability to directly contact legal professionals with decades of expertise in storage auctions and related legal issues becomes immediately available to facilities that opt-into either the month-by-month or yearly subscription plans. Paid accounts also get the ability to call in directly for live phone support, which is something I know many managers prefer because sometimes a decision needs to be made immediately and there’s no time to sit around waiting for an e-mail response. All in all, I think $25 a month is something many storage companies will find to be a tremendous value given everything that comes with it – many companies already pay out the wazoo just to get legal counsel through the Self Storage Association’s legal network. For some companies, a paid account at storage treasures could be an excellent way to kill two birds with one stone.